Apple devices are very expensive which makes it more exposed to be stolen by different kind of people. According to a new report from abcnews, more than 21 Apple store robberies have been reported in California since May 2018. The report says that with six Bay Areas being robbed in a matter of weeks. Surveillance footage caught recent heists in Corte Madera, Walnut Creek, Emeryville and Santa Rosa. 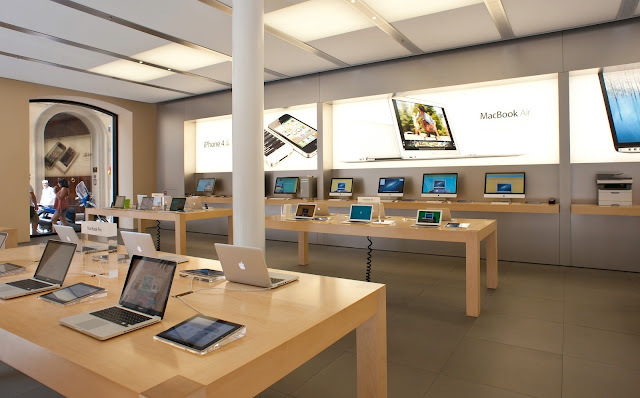 Thieves also hit the Berkeley Apple Store and the Burlingame Apple Store this past Sunday. On August 22nd, hooded thieves stole $19,000 worth of merchandise from the Corte Madera store. A bystander captured the robbery on camera. "I realized that these guys were coming to do something," said the witness. He notes that security just watched. "Basically they were just standing there looking at their cell phone." In San Francisco, Apple has started placed uniformed police officers in front of its stores to prevent further incidents. "I think it's just an overall deterrent when they are casing these locations on whether or not they're going to go in and steal these products," said San Francisco Police Officers Association President Tony Montoya. See how the security guy pretend like nothing is going on and he is looking at his cellphone.. Interesting right ? It looks like that Apple is having some security issues.